are invited to apply for funding of up to $1,000 to help present their work at a meeting of their choice. All 2018 grantees reported that the networking opportunities resulting from this exposure helped them improve their work and develop new collaborations. While we received 165 applications last year, 77 of those were not eligible under the programme’s terms. With 22 grants awarded, this meant a 29% success rate for eligible candidates. Reflecting on the results of the programme in 2018, we’ve updated our terms and conditions. This year, for the first time, graduate students may be eligible for our grants. We also clarify that confirmed talks take priority over posters in the judging process, and enabling grants (those for people who otherwise wouldn’t be able to travel) take precedence over others – that is if we receive a great number of otherwise similar applications. By reporting the success rates, and highlighting some of the common mistakes made previously, we hope to encourage more authors to read the terms carefully to help them put forward stronger applications. Now, early-career authors who have had an abstract of high scientific merit already accepted for an oral presentation or a poster at their chosen meeting are invited to apply for the 2019 scheme. 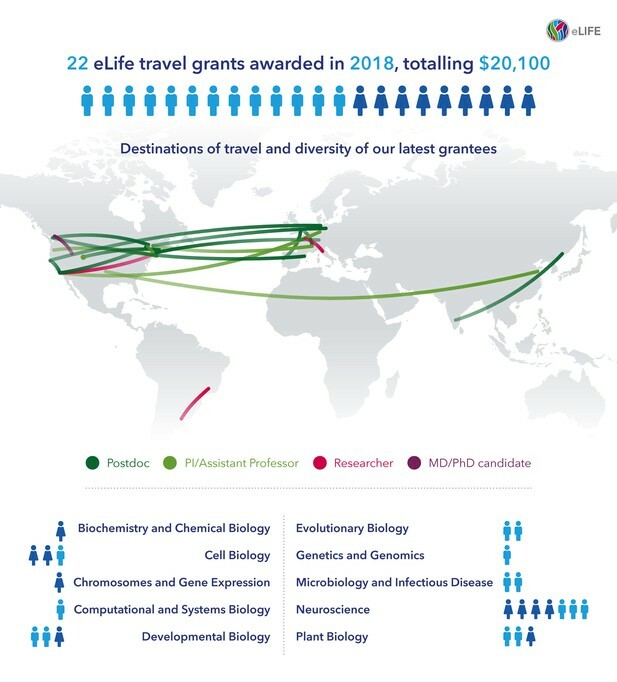 We especially welcome applications from researchers requiring international travel to their meeting of choice. Application deadlines for 2019 are at midnight on March 3, June 2, and September 1. You can apply for funding of up to $1,000 to support your costs of travelling to and participating in a conference.